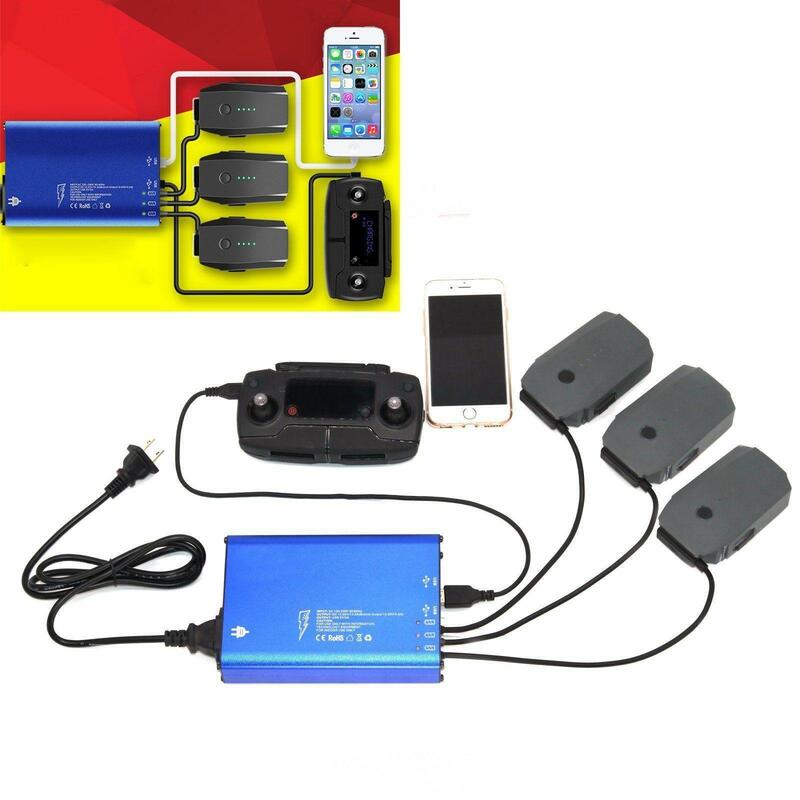 * It can charge 3 battery, 1 remote controller (USB port) and 1 smart phone (USB port) simultaneously. * Maximum 4.5A current output means rapid charging. Charging time is around 60-80 minutes for either just charging 1 battery or 3 batteries. * Gold plated charging ports ensure long service life. Aluminium shell material. * LED indicator for charging status, Red – in charging; Green – completed. * Safe to use: it comes over charged protection, over heat protection, over current protection, overvoltage protection, short circuit protection. Package only includes the charger, no battery and other accessories included.